South Australian Film Corporation. 1982. Producer: Jock Blair. Theme Music: Gabriel Faure. LP (AD)	Cherry Pie. LD 37856. 1982. 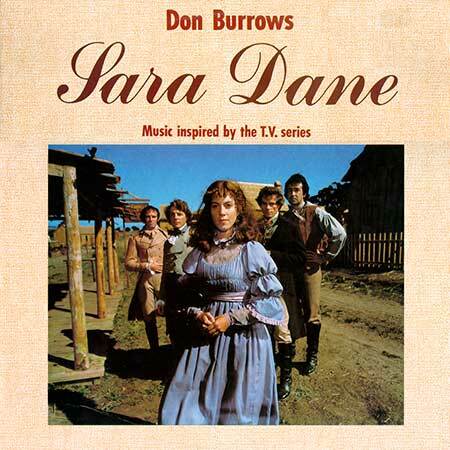 “SARA DANE - DON BURROWS”. Recording and Post Production: Festival Studio, Sydney. Recording Engineers: Mark Moffatt, Peter Walker. Mix Down to “Sony Digital Masters”, Festival Studio, Sydney. Digital Mastering: Festival Records. Mastering Engineer: Paul Ibbotson. Album Concept: Graeme Rule. Arrangements: Julian Lee. Album Production: Julian Lee, Graeme Rule. MUSICIANS: Don Burrows: Bass Flute, Alto Flute, Concert Flute, Bb School Flute, Bamboo Flutes, Percussion. Mark Reily: Drums. Phil Scorgie: Electric Bass. Jim Kelly: Acoustic & Electrical Guitar. Ian Bloxham: Percussion. Julian Lee: Electric & Acoustic Piano, Synthesisers. Sam McNally: Synthesisers. A Cherry Pie Digital Release. (Gabriel Faure, Arr: Julian Lee). (PD). Adapted from the original theme for the TV series. (Cherry Pie). (Francisco Tarrega, Arr: Julian Lee). Drink To Me Only With Thine Eyes. (3:15). Adapted from music for the TV series. (Cherry Pie). (Alicia Anne Scott, Arr: Julian Lee).